Garden strawberry (Fragaria ananassa): growing, planting, caring. 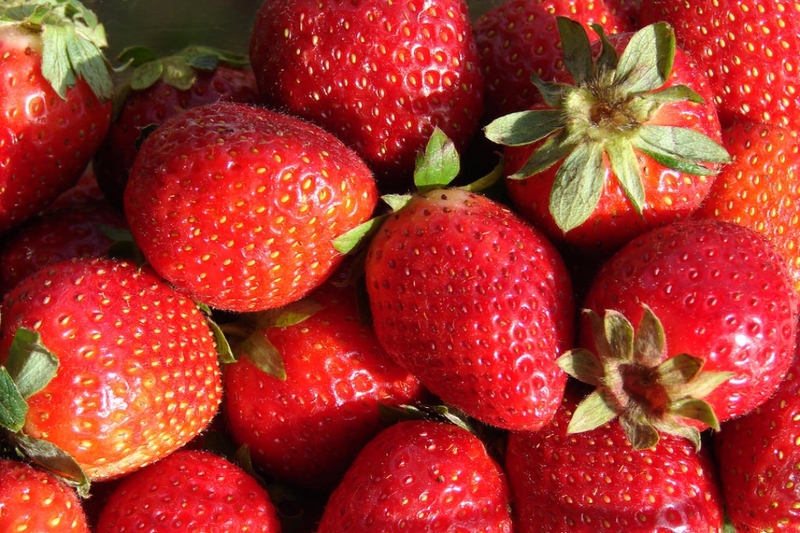 The popular garden strawberry - of which many cultivars exist. The garden strawberry is a widely grown hybrid species of the genus Fragaria, grown worldwide under numerous cultivars, first bred in Brittany, France, in the 1750s via a cross of Fragaria virginiana from eastern North America and Fragaria chiloensis, which was brought from Chile by Amédée-François Frézier in 1714.